#351 – Run Away! Run Away! 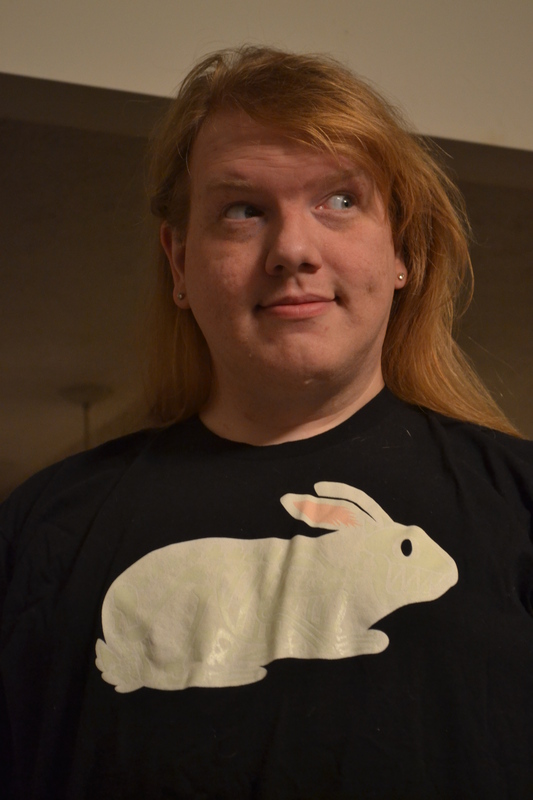 This is a really fun shirt! 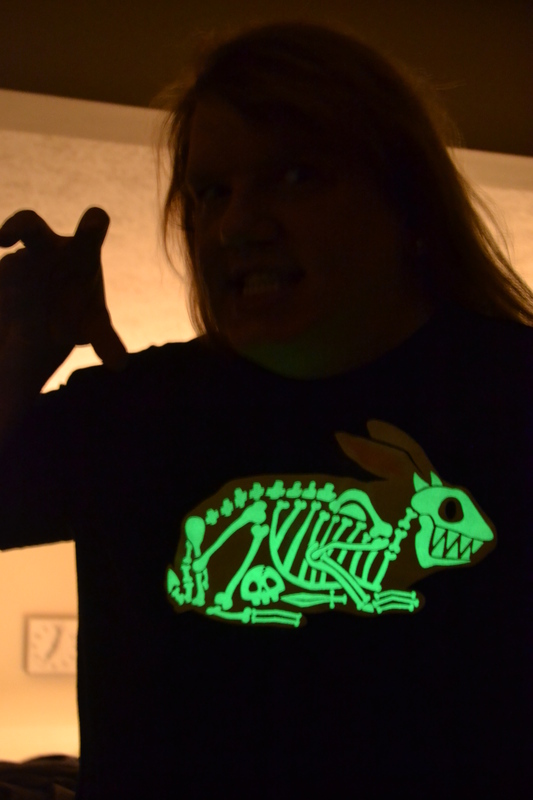 It is glow-in-the-dark, as you can see. It immediately makes me think of the Monty Python Killer Rabbit. Watch it here! Poor rabbit filled up on knights and tiny swords. No room for lettuce today! Rabbits are terrifying at night, dontcha know? Have you ever heard of a lil guy named Bunnicula?? So innocent in the daylight, isn’t he?